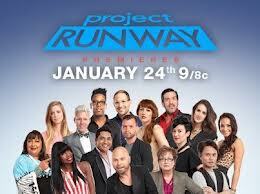 there has to be nothing better than the newest iteration of Project Runway. what could be better than watching amazing designs created by talented teens. the show is soooo good. the show has been on for what seems like a thousand seasons but i can’t get enough! that’s why i’m encouraging all my girls to watch this season, especially cast member samantha black.